The Alianza Charter School GSA in Watsonville consistently works for social justice. Alianza is a K-8 Spanish/English dual-immersion school, enabling their middle school GSA to empower a diverse group of students. To create connections between their schools, GSA members decided to move their weekly meeting to a different day in order to invite Watsonville Charter School of the Arts students. Together, they make bilingual posters around events like National Coming Out Day, Transgender Day of Remembrance and Day of Silence to educate students and staff. These posters prompt discussions among students of all ages, helping make their school climate safer and more welcoming. 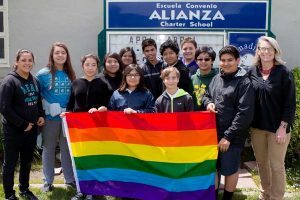 This year, Alianza/WCSA GSA was the first middle school group to present a workshop at the Queer, Trans* & Allied Student Summit in Watsonville. The Subjects to Change (S2C) program based at the MAH provides youth with a safe space to educate each other and the Santa Cruz community. The program also connects teens with resources and encourages them to become leaders within their communities. They meet weekly to engage in creative workshops that connect to issues they are passionate about, lead outreach events across the community and host their own events at the MAH. 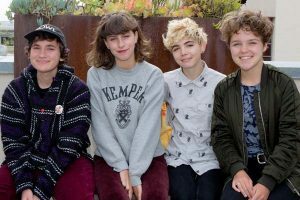 They consider themselves “Artivists” and work hard to cultivate a space where youth can be comfortably out, where people introduce themselves with their pronouns, and maintain a supportive climate. Thanks to S2C initiatives, the MAH has permanent gender-neutral bathrooms. S2C is a 100% queer, youth led program that continues to explore identity, art and activism. 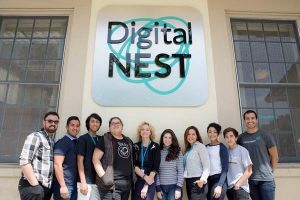 Digital NEST (Nurturing Entrepreneurial Skills with Technology) is a safe, inclusive space open to everyone, regardless of race, gender, sexual orientation, documentation status, disability or economic status. Digital NEST seeks to stimulate economic development in poor communities by providing youth with the training, skills, and inspiration to reach their full potential in school, in careers, and in life. The NEST provides a safe, inclusive space in downtown Watsonville for all youth and young adults. For example, as a statement of support for transgender youth, the founder insisted that the NEST change all its restrooms to gender neutral. The NEST is a model for community youth organizations – a safe, inclusive, welcoming, and encouraging space where adults serve as allies and truly listen to youth and young adults. Planned Parenthood Mar Monte (PPMM) provides a broad range of health care services for over 250,000 primarily low-income adults, teens and children across 42 counties in mid-California and northern Nevada. PPMM is now the largest Planned Parenthood affiliate in the United States and the main provider of health care for our local transgender community with their Transgender Health Care Program. 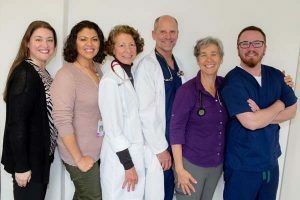 PPMM’s Westside Health Center has been providing trans and gender expansive care since 2005, leading the charge for trans care awareness and training among healthcare providers and the public. They have collaborated with the Diversity Center, PAMF and Dominican Hospital to increase knowledge and expertise. With the push to deny Planned Parenthood Medicaid funding, it’s important to acknowledge the vital services they provide to queer youth. The Diversity Center Youth Program is a pillar for LGBTQ+ youth in Santa Cruz County. The program offers support to teens, families, and schools on issues of gender, sexuality, acceptance, and overcoming discrimination through Youth Meet-Ups, School Support, and Community Events. 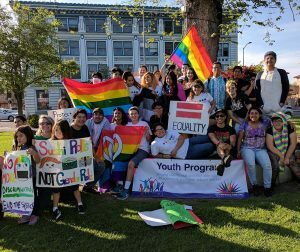 Every weekend, the youth program offers a drop-in space in Watsonville and Santa Cruz for all youth ages 12-18 who identify as LGBTQ+ or an ally. During these meet-ups, queer and trans youth find support, workshops, resources, and fun activities. The Youth Program supports schools in starting GSA/QSA clubs, provides presentations and education to school campuses, and visits existing clubs to connect LGBTQ+ youth to the larger community. The Diversity Center’s Youth Program is a leader in serving queer and trans youth in our community.